The new home for this blog is atRedeemedReconciledRestored.com. Please join me over there. You will need to resubscribe to continue receiving blog posts. Friendships are one of the most precious blessings you can have in your life. There are many types of friendships found in the Bible. These are two of my favorites. “And it came to pass, when he had made an end of speaking unto Saul, that the soul of Jonathan was knit with the soul of David, and Jonathan loved him as his own soul. And Saul took him that day, and would let him go no more home to his father’s house. Then Jonathan and David made a covenant, because he loved him as his own soul.” (1Sam. 18:1-3KJV). It has been said that their friendship is one of the deepest and closest recorded in the Bible. They drew closer together when their friendship was tested, and they remained friends to the end. Ruth and Naomi’s relationship was bound by their faith in God. Naomi’s son was Ruth’s husband. So they were connected by marriage and friendship. After Naomi’s sons died, she felt like she didn’t have anything left to offer her daughters-in-law. As a result of this, Naomi tried to send them away. Ruth and Naomi shared deep sorrow, great affection for each other, and an overriding commitment to the God of Israel. As I have told my children on many occasions, you only need one true friend. If you have one true friend then you are truly blessed. Friendship is something that requires selflessness, honestly, loyalty, trust, accountability, faithfulness, and forgiveness. For a long time I didn’t have a true friend (other than my husband of course). I prayed for the Lord to give me a friend, someone who had similar life circumstances, such as age, children of the same age, homeschooler, and of like mind, “Can two walk together, except they be agreed?” Amos 3:3. I asked for someone I could talk with and know she would be honest with me and hold me accountable in my walk with the Lord. God is so good and faithful! He gave me two such friends. I love and cherish these two sweet ladies. I can be myself with them and never fear being judged. I can confide in them, never doubting their trustworthiness. I have the utmost respect for them. I pray every person reading this has such a friend. I can’t even imagine my life without Him! This year is turning into how I always pictured homeschooling (and it only took 11 years lol). It has been a long time coming and I praise God for giving me the peace I so needed to do the job which He has given me, educating my(His) children! I have to thank Sara Mackenzie and Pam Barnhill for part of this transformation. I always pictured homeschooling as a time of relationship building and time spent together. It didn’t matter if we were reading aloud, doing Sword drills, painting, spending time in God’s Word, or at the park, as long as we were together and building relationships. I recently discovered Sara Mackenzie’s book, Teaching From Rest: A Homeschooler’s Guide to Unshakable Peace, and her blog, amongstlovelythings. 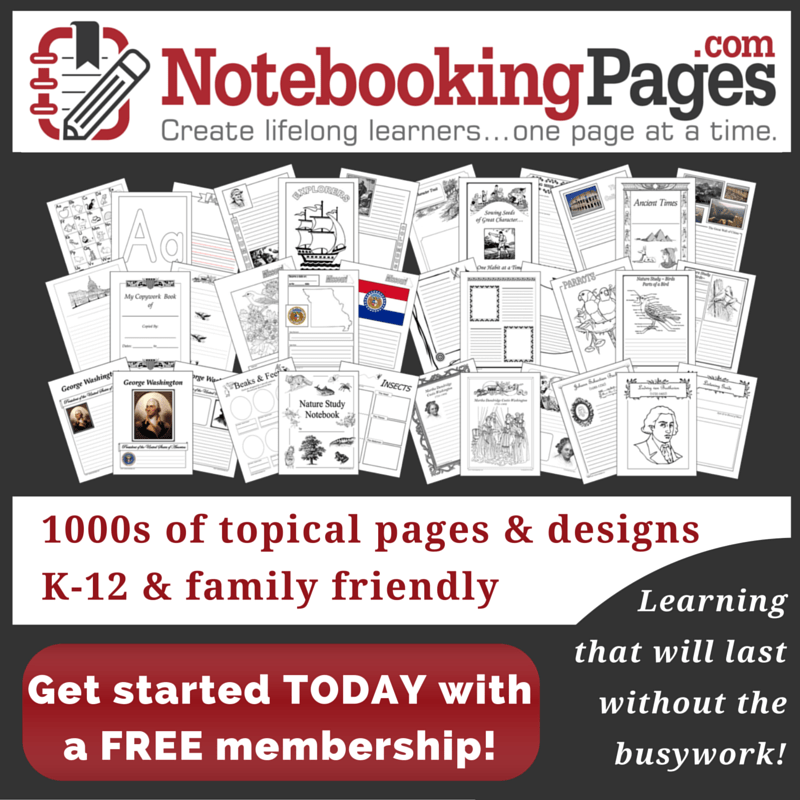 These have been a tremendous help in accomplishing my vision for our homeschool. Sara focuses on “living from a place of rest, to teach and mother from peace rather than anxiety”. Sara is referring to the unshakable peace that God promises for those who follow Him. Don’t we all want that!! I also discovered Your Morning Basket by Pam Barnhill. Pam’s blog is edsnapshots. You will find lots of treasures on her blog, including some pretty awesome podcasts for free! Pam focuses on “bringing truth, goodness, and beauty to your homeschool days”. I’m not an affiliate of either of these products. I have been encouraged by the help they have brought me so I wanted to share them with you ❤ I have found many wonderful ideas and encouragement from both of these sweet women. We are also taking a vacation this year. The second vacation we have had in 15 years, so you can imagine how excited we are about this! We will be going to Virginia, every homeschooler’s dream vacation. I am so excited for my children to experience the rich history there. We will also be making a side trip to D.C. and Gettysburg. Before we start this adventure, the kids and I are taking the time to study the geography and history of these places and the states through which we will be traveling. We are using a wonderful free resource, U.S. State Study, created by Paige Hudson over at elementalblogging. As if things couldn’t get any better, a sweet friend of mine invited us to visit her co-op. Everyone made us feel so welcome! I believe this is going to be a good fit for our family. And if all this wasn’t enough we ran into some friends that are involved in this co-op. It was like God putting the icing on the cake!! I have to admit I haven’t been real patient during these last eleven years, but it was definitely worth the wait! All this time I thought God was telling me no on things like co-op and vacations which included visiting historical places. I will be perfectly honest, at times I felt sorry for us missing out on these opportunities. But God was only saying “wait, all in MY time”! After all we have been through these past eleven years, I feel our family will benefit and appreciate what God has given us much more now than we would have then. God’s timing is ALWAYS perfect!! You may have noticed I have not been posting like I said I would. I have an explanation for this. Shortly after my last post there was an incident. I will not go into the ugly details. This incident has led me to believe avoiding Facebook at all costs is the right thing to do “in this season”. As everyone knows, blogging and Facebook go hand in hand for most bloggers, for promoting purposes mostly. While I have missed blogging, even though it is still quite new to me, I figured the two went together and when I gave up one I had to give up the other. Microblogging – Twitter being the most obvious example. You make a statement or a comment in 160 characters or less, and the people on Twitter who “follow” you will be able to see it. You can also reply to other people on Twitter. Social bookmarking – A few popular social bookmarking sites include Digg, Stumbleupon, Reddit, and Del.icio.us. It works pretty much like a regular bookmark in your browser, except it is public and people can “vote” on your submission. The great links that get shared and voted on by the most people end up on the first page of the social bookmarking site, this can potentially bring your blog a lot of traffic! Video sites – Video is incorporated into almost every site that you visit these days. It is said that YouTube is now the #2 search engine after Google. I know I use it a lot with homeschooling. With YouTube and other video sites, you can add “subscribers” to your video channel, which are similar to friends on Facebook. This is a great feature for bloggers, especially ones that plan to upload videos regularly. Subscribers to your channel will receive a notification when you upload a new video, so you can get regular visits to your blog just by uploading good videos regularly. Besides YouTube, you might look into Vimeo or Dailymotion. I hope this has been a help and a blessing to you. Since my husband and I have come back together and have vowed that NOTHING will tear us apart again I have started a study on the family and what the Bible says about each role. I’m not far into it, just a few days, but I have discovered an important fact: choices affect every area of our lives! Honestly, when I started this study I was more focused on the children. One day I got really upset over the way they treat each other. I pointed out to them that some of the stuff they say, the way they respond to each other, and the way they treat each other, they would NEVER do to their friends. I tried to explain to them the importance of family and the fact that God has hand-picked each of us ,”Before I formed thee in the belly I knew thee” Jeremiah. 1:5, and put us together to be a help and support to each other, not to tear each other down. While trying to explain this to them I was struggling with HOW to explain the importance of family and the way God would have us to treat each other. So I began my study. The choices that we make may not seem real significant at the time. But these choices, sometimes made at the spur of the moment such as going to a party, drinking, or smoking and sometimes they’re given more thought such as marriage and salvation, can have lasting affects not only on our lives but on the lives of our children and even our grandchildren. Choices need to be made with God’s will in mind, according to God’s Word. I don’t know about you but I am not a patient person. I will be the first to admit it. As a result of this I have made choices/decisions quickly. I can look back and see the consequences of these choices made without first going to God, and sadly a lot of them are not good! A lot of the time the strife which my children get into has pride at the root. They are thinking of self. When this occurs I point out to them that what they are arguing and getting upset over is not as important as their relationship to each other. In the end all will be burnt up, “But the day of the Lord will come as a thief in the night; in the which the heavens shall pass away with a great noise, and the elements shall melt with fervent heat, the earth also and the works that are therein shall be burned up.” 2 Peter 3:10, but their relationship will still be there. Choose what is the best! I will have more to share as my study comes along. In the mean time enjoy this free printable I created, printed, and framed today to remind all of us of the importance of the choices we make. This Blog is is born out of the work of my miracle-performing God. I created another blog Single Parent Homeschooling Adventures after my husband and I had been separated for more than a year. Without going into all the details, after more than two years of separation, God brought my husband and myself back together. Praise God!! This could have only been done by the mighty hand of the Lord. Now that things have settled down a little bit and we are falling into somewhat of a routine I am attempting to get this new blog up and running. I hope to be a help and encouragement to all who happen by while giving God all the glory . Please bear with me through this time of growth 😀 I am so excited to see what the Lord does through this blog!